A few years ago, I sat down at my desk to paint a portrait of a saint. Very soon my brushes were creating a fiery red head with a kind expression and billowing cape. It was Saint Brigid! I first learned of Brigid a few years ago while researching Ireland, and discovered that Brigid was another much beloved patron saint of the country, alongside Saint Patrick. 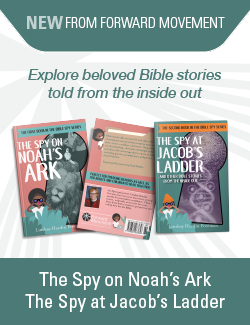 It’s even said that Patrick had a hand in her Christian formation, either baptizing her himself or his words inspiring her and her mother as he traveled the countryside of pagan Ireland. No matter how the faith was brought to Brigid, it is without a doubt that she became one of the most important early Christians of Ireland. 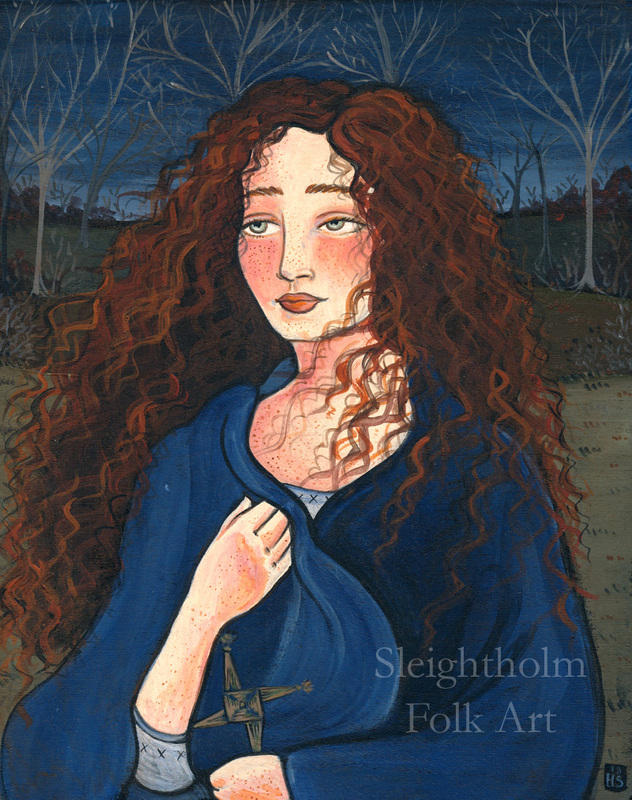 Brigid was said to be the daughter of a noble Irish chief and a slave woman, and this mixed heritage seems to have endeared her to people of all walks of life. Brigid’s habits of giving generously to the poor and performing miracles made her both a marvel and a legend before she had even grown old. As a child she was often reprimanded for giving away anything she had for the aid of the poor. One story claims she gave away all her mother’s butter, yet when scolding adults checked the butter crock, it was miraculously refilled. Incidentally, Brigid is also now considered the patron saint of cattle and dairy maids. She also got into trouble with her father, since her habit of giving things away to the needy also included precious items of his home such as his sword. 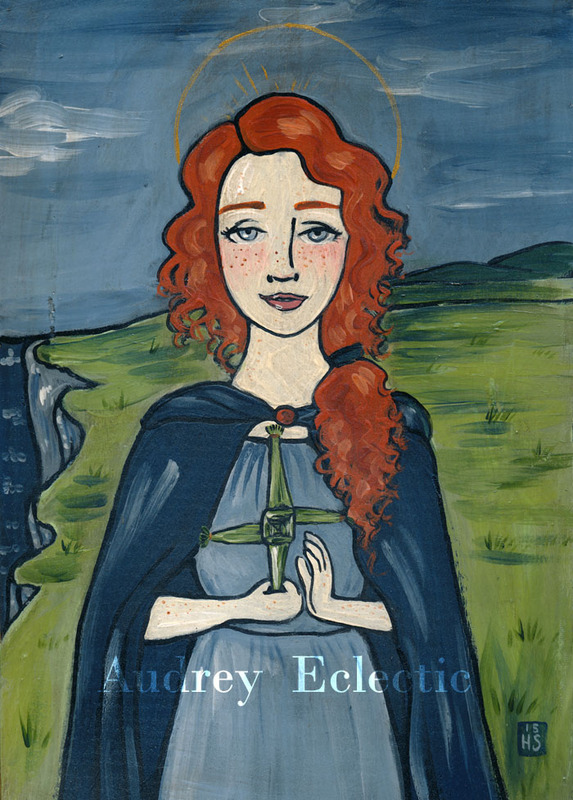 Brigid is said to have traveled the countryside, spreading the gospel and inspiring countless Irish men and women to devote themselves to the new Christian faith. But she didn’t inspire these people through fear and talk of damnation and hellfire; she did it through kindness, joy, and giving of all she had because she knew God would provide all she needed. She is said to have taught others about Christ with the use of a unique cross she made with river rushes. This cross is now called a “St Brigid’s Cross” and can be seen in many portraits of her and in Celtic Christianity. While Saint Brigid did travel much like Saint Patrick around Ireland, she also set down roots with the building of her abbeys in Kildare, establishing the first religious orders for women in the country. One story of how she came to build her abbey in such an ideal part of Ireland involves a tale about her cloak. Always said to be wearing a warm, blue, woolen cloak wherever she went, legend claims Brigid approached a wealthy lord in Kildare requesting that he give her land where should could build her monastery. “Just give me the land that can be covered by my cloak,” she is said to have asked sweetly. The lord laughed, thinking her ridiculous, and agrees. However, he was quickly stunned to find that Brigid was able to miraculously lay her cloak over a vast swath of land that stretched from a beautiful lake and up through the green hills. And although Brigid is a saint of much renown, whose patronage includes everything from the country of Ireland and dairy workers to midwives and travelers, what I love best about her is the warmth she exudes in all her stories. With Brigid there was always a way to make things happen, always a way to share and still have enough, always a way to love God and be joyful in the world. Brigid never seemed to take no for an answer, and was known not only for performing miracles but also brewing a heavenly beer. From her stories you get the feeling that she would be someone you could see yourself having a pint with. Not only could she regale you with fascinating life events, but as someone who understood what it was like to be part of the highest and lowest tiers of society, I also imagine her being a comforting pastoral presence. She has inspired several of my own paintings (which can be found at sleightholmfolk.etsy.com), and continues to offer inspiration to me as the years pass. It has now been more than 1,500 years since the real Brigid walked the earth, but her influence still remains around the world. Today, you can find many sacred places around Ireland where Brigid has been said to have tread, and there are many churches named for her in Roman Catholic, Anglican, and Orthodox Christian traditions. And so today on Brigid’s feast day, I employ you to bring a bit of Brigid’s cheer and can-do attitude into the world. Maybe have a pint, or use up all the butter with abandon. But whatever you do, perhaps remember that God is always ready to provide for us, while we provide for others.